Check understanding with formative assessments. Read in pairs with Paired Response Journals. Map a story with a plot line diagram. Get prepared for the ELA. Learn strategies for taking tests. Use bookmarks with reading strategies for fiction and non-fiction. You can watch this on your own and Judge for yourself! Is this Bigfoot sighting real? During this month you will be practicing with some reading comprehension passages with questions to assess your comprehension and vocabulary knowledge. These tasks are designed to help me to deliver the best instruction for my students' needs. The writing task for this month will be the "Favorite Celebration" essay. You will begin brainstorming for this essay in class on Friday. In class you are writing a "Thanksgiving Letter" to someone special in your life. You will deliver your letter over the Thanksgiving break. The first graded draft is due on Thursday for "B" day and Friday for "A" day. Next week you will prepare and take home your notebook containing your three Writing Portfolio pieces. You will include a Letter to the Reader and a Positive Feedback Sheet. Please share your portfolio with at least three people. One of them must be a parent or guardian, and the other two may be friends, teachers, siblings, coaches, etc. This is a really enjoyable experience so feel free to have more than three people participate! To celebrate Halloween we are studied "The Legend of Sleepy Hollow" by Washington Irving. We also viewed some movie clips to study tone and mood in the Disney Version, Part 3 and Part 4. If you'd like to watch from home, here are Part 1 and Part 2.
and reading selections from a variety of genres. We are having fun with language with some great vocabulary and ELA sites. family member watch the videos and reflect as well! Welcome to our class site. To get any of the handouts from class, go to the Resources page. This month you will be finishing up the Final Writing Portfolio. Use the checklist to help you and use the guidelines to write the pieces that "pull it all together" - Letter to the Reader, Dedication, and About the Author. 1. Creative Writing in Response to Short Films (see April links for films and assessments). 3. Contribution to Class Publication - sharing in the "drop" folder: PPT of Portfolio or Word files. 4. Do your best to show growth in the I-Ready program. Remember, you can use this program from home. Sample Online Writing Portfolio You will be able to see these portfolios online for years to come. During this month you will be working on your Writing Portfolio. The new pieces that should be completed by the end of May are the Persuasive Essay, Dedication Page, Letter to the Reader, and About the Author. The portfolios are due in June. April Links: Reminder - The ELA will be on April 15, 16, and 17. Bring 2 sharpened pencils to school. Get a good night's sleep. Eat a good breakfast. Remember to use all the strategies you have learned in AIS and in English. Do your best! Check your work. Use plenty of textual details (textual evidence) in your writing. Good Luck!! In 7th Grade English, all students study selected stories by O. Henry. 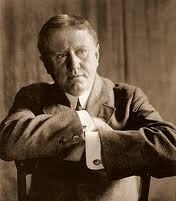 In this class you will explore one story, “The Ransom of Red Chief” by O. Henry and will learn about others. To begin, let’s learn/review some interesting facts about the author with an Author Webquest. It’s important to know about our most famous American authors. They are our heritage! Next week we will begin a unit on O'Henry. For enrichment, watch some of the videos and share what you've learned in our class discussion. English/AIS is a class where all students become stronger readers and writers. 1. Try to do your best. Believe in yourself, and you will succeed. 2. Show respect to everyone in the classroom. 3. Try to apply what you learn to succeed in all of your content area classes. In this class you will begin with a "do now" activity to warm up your reading and thinking skills. We will often read, discuss, and write about current events from a variety of sources. Structured lessons will follow the format of the New York Ready Instruction workbook, which will be often be supplemented with additional readings, vocabulary activities, and research practice.